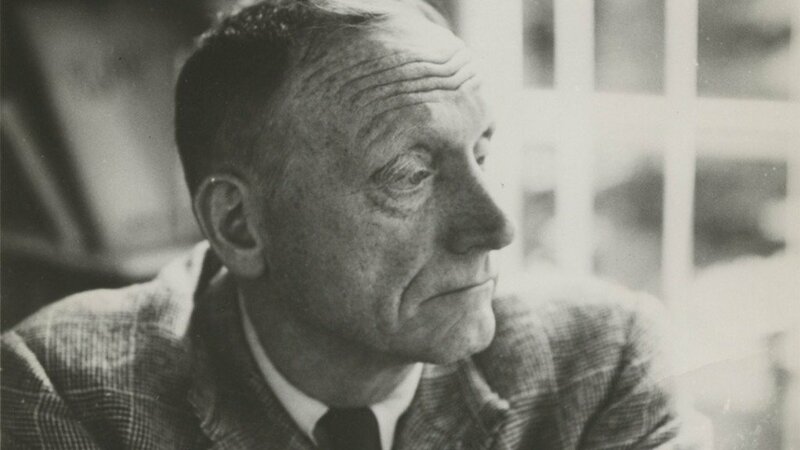 Robert Penn Warren won the Pulitzer for All the King’s Men in 1947. His foresight was astounding, but a closer look might reveal a more cynical truth. 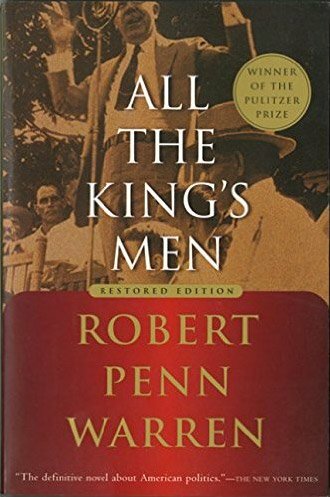 Readers always stand in awe at a book’s applicability to their time, but maybe the author’s vision is nothing more than historical diligence. Warren knew how politicians had been prior to his novel and would likely continue to be after its publication. 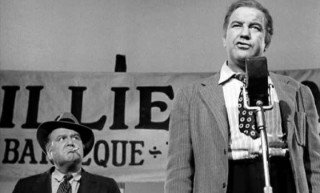 The fictional Willie Talos (thinly veiled Huey “Kingfish” Long from Louisiana) is almost a Jay Gatsby of the south. Only his is not a pursuit of love in any romantic sense. Wide-eyed and idealistic, he starts off wanting to really learn the law so he can serve the needy community that’s bred him. It’s only a matter of time, however, until his naiveté is dashed and he becomes jaded by reality. He says, “…I can see what the law is like. It’s like a single-bed blanket on a double bed and three folks in the bed on a cold night. There ain’t ever enough blanket to cover the case, no matter how much pulling and hauling, and somebody is always going to nigh catch pneumonia. Hell, the law is like the pants you bought last year for a growing boy, but it is always this year and the seams are popped and the shank-bones open to the breeze” (194-195). The Law never equals Justice. This is when he had wizened up to the rigged game. But back in the early election to become commissioner, his man Jack Burden (a narrator bearing much resemblance to the morally ambiguous Nick Carraway, but with a lot more sullen self-deprecation) sets him straight. Willie wants to treat this backwoods electorate with an unprecedented dignity, and (gasp) tell them the truth. But, surprise! On this most honorable premise, he’s losing. Winning an election and being yourself are mutually exclusive. The person and the politician are never one and the same. Oh, and if this is reminding you of a particular demagogue of our time, it’s not a coincidence. 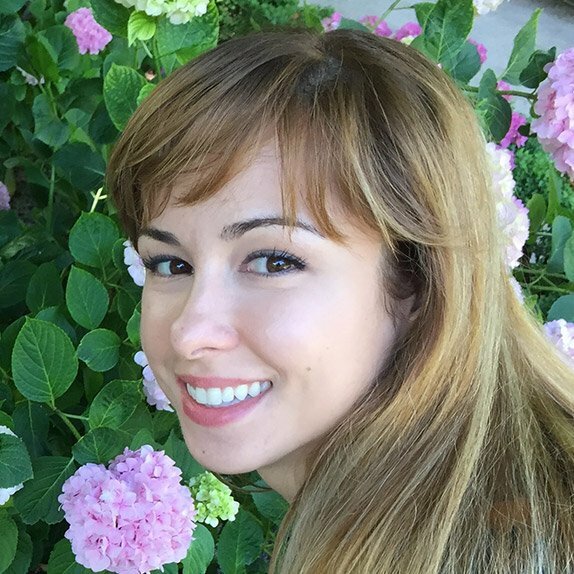 Laura Ortega is just a lowly high school English teacher and part-time Professor trying to make it big in the blogosphere or the world of self-publishing. She received her Master’s in English Literature and now, via her blog lauramariaortega.com, tries to reconcile the Ivory tower of academia with popular culture. Would you like to be featured like Laura here?